TSCM Company – What Can You Expect From An Experienced Company? If you have little or no experience with technical surveillance counter measures, how do you know what you should expect from a TSCM company? Read on to find out what the best companies offer, and you will be able to make an informed and positive choice when the need arises. The first thing you want the counter surveillance company to have is highly trained and experienced employees. You want to know that they have faced similar cases to yours before and have been able to meet the challenge and get positive results. You should also be able to expect a team to be with you within a day; preferably within a few hours. The longer you have to wait, the greater the risk that you will say or do something that will alert the person who placed the bugs that they have been found out. As well as speed and experience, you want to know that the individuals involved in your case have adequate knowledge, skills, and technical expertise. They should offer electronic and physical sweeps of your home and vehicle in order to determine the presence of electronic devices, tracking devices, bugs, and hidden cameras. They should have the ability to work with a range of tools and devices, including burst encryption, frequency hopping devices, video transmission and infra-red devices, and to name just a few. However, detection is only half of the task. You also need to know that the team will collect evidence so it can be used in legal proceedings against the person who has brought about the need for the TSCM service. By choosing to work with Advanced Sweeping, you get all of this and much more. Discretion is a key prerequisite in our relationship with all our clients and we work hard to ensure this is always the case. 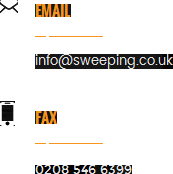 Find out more about us as a leading TSCM company by visiting our website, http://sweeping.co.uk/.